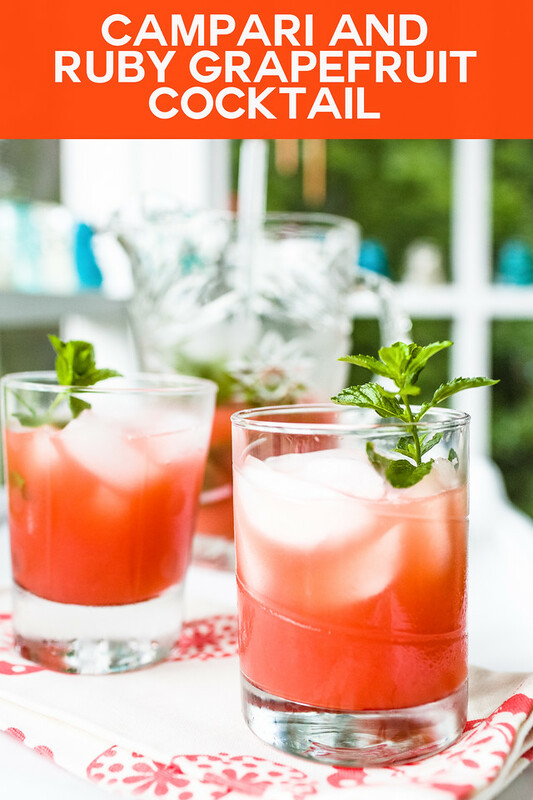 This Campari Cocktail with Ruby Grapefruit Juice is so easy and so delicious! It makes a great fall cocktail with that gorgeous color! Have you tried Campari? According to the website, it is an infusion of bitter herbs, aromatic plants and fruit in alcohol and water. It results in a deep red liqueur that looks like it would be syrupy sweet, but it’s not! It’s actually quite bitter and lends itself so well to so many cocktails! It’s most iconic use is in a Negroni, like this Cranberry Negroni. One of my most popular blogposts is this Italian Gin and Tonic, which gets a lovely orange tint from the Campari. It also pairs beautifully with strawberries in this Strawberry Frosé. There isn’t really anything about this cocktail that screams fall, except for it’s gorgeous orange red color. Also, it makes a pitcher, so perfect for football tailgating parties! Just beware, it is so good and goes down so easy! Fill rocks glasses with ice. 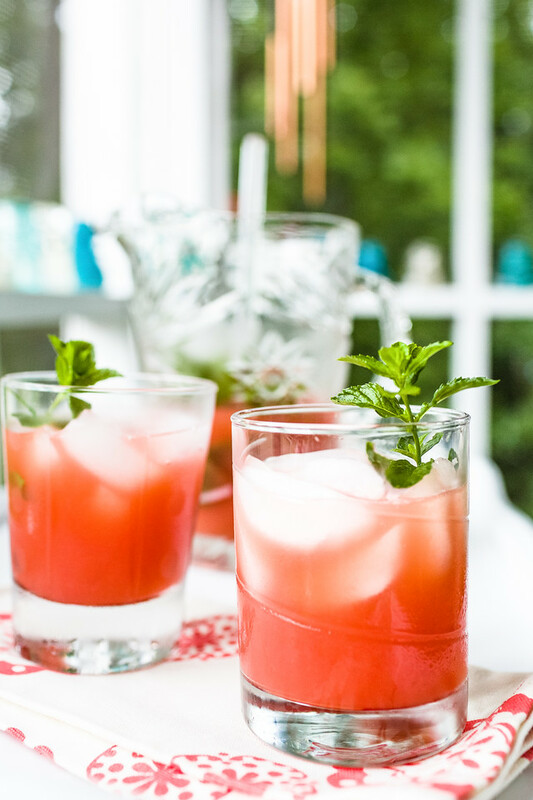 In a jug stir together Campari, mint, and tonic or soda. 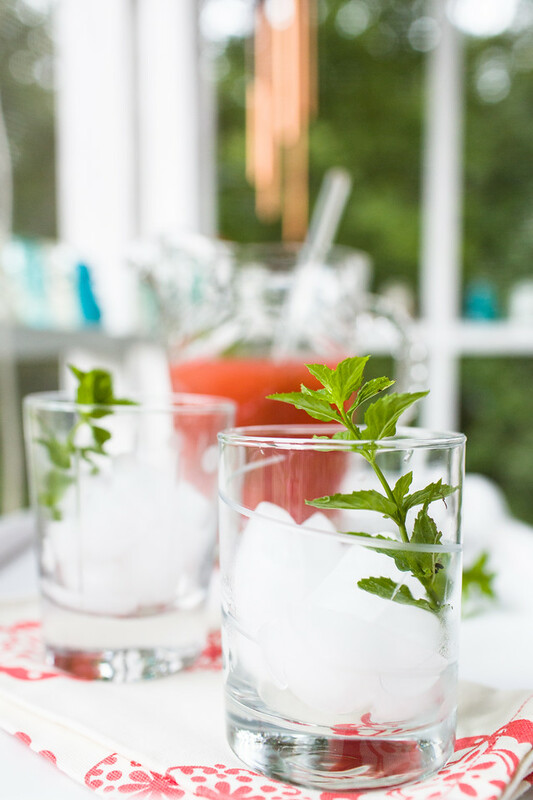 Pour over ice in glasses and add a mint sprig for garnish. I found this recipe in Donna Hay Entertaining, which is out of print. Some other Donna Hay books that you might like: Basics to Brilliance, Life in Balance, and The New Easy. This cocktail is crazy easy, gorgeous and delicious! Come the grapefruit juice, Campari, mint and soda water in a pitcher. Stir to combine. Pour into glasses and garnish with a mint sprig. These look so delicious! A must-try! I think grapefruit juice is SO underused. I would absolutely LOVE this! Campari is one of those drinks that is ideal for cocktails, it has a great blending flavour. This sounds delicious with the grapefruit juice, and the colour is fabulous. It does have such a good blending flavor! How refreshing this looks! I could use it today as it’s going to be 95 degrees! And anything with grapefruit juice, I’m in! Definitely don’t wait for a gathering, it’s that good! I love grapefruit juice – it’s so refreshing. Great idea to use it in a cocktail.